I’ve been judging Jonah unfairly. And I didn’t realize it until I read someone else judging him the same way. You know Jonah, right? God tells him to go preach to the rather nasty folks in Nineveh. Jonah hops on a boat and high-tails it in the opposite direction. Big storm comes. Jonah tells the crew to throw him overboard; storm stops, fish swallows Jonah. Jonah has a big heart-to-heart with God; fish spits him out three days after he was swallowed. Per God’s instructions, Jonah preaches to the nasty folks in Nineveh. Ninevites repent; God spares them. Jonah gets ticked off at God’s grace in not destroying the people he doesn’t like. Tree grows; tree dies; Jonah learns nothing. The end. Jonah’s come up several times this year — in a series of sermons I heard, in a study I was given to read, and now again in the latest book I’m reading. And the unfair judgment of Jonah I made, that was also in the book I’m reading, was this — Jonah was quick to want grace for himself, but resented it being given to others. What a hypocrite, right? The book I’m reading made another assumption, though, and that’s what triggered my realization that I’ve been unfair. The author talks about how unpleasant it must have been inside the fish. And, you know, that’s almost certainly true. In fact, the author says, Jonah probably started praying for deliverance and grace immediately. 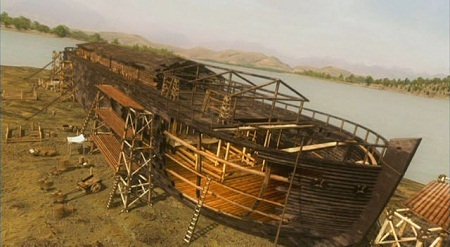 Now the LORD provided a huge fish to swallow Jonah, and Jonah was in the belly of the fish three days and three nights. From inside the fish Jonah prayed to the LORD his God. He said: [[Prayer Omitted]]. And the LORD commanded the fish, and it vomited Jonah onto dry land. The fish swallowed Jonah. Jonah was in the fish for three days. He prayed. Got responded immediately. Now, you could make the assumption that the timetable is general instead of precise. But, I don’t think so. Jump back a little bit. Jonah’s on the boat. The storm comes. Jonah knows it’s from God, and he knows it’s because of his disobedience. The sailors confront him about it. At that point, someone else might have been on their knees, praying for God to stop the storm and promising to do whatever He wants. I mean, it sounds like the sort of storm that would have gotten someone’s attention, and probably inspired some reconsideration. Not Jonah. He looks at the sailors, and tells them to throw him overboard, knowing it means almost certain death. Jonah’s not quick to ask for grace. He’d rather die. But he doesn’t. A fish swallows him. Maybe I’m wrong. Maybe the author’s right. Maybe Jonah started begging for mercy at that point. But, you know, given his behavior on the boat, I don’t think so. I think he was waiting to die. As the author was quick to point out, without a miracle, there’s no way a person could survive that. Jonah was that, since the storm didn’t kill him, being digested would. And so, he waited. Patiently. In unimaginably unpleasant conditions. Waiting for death. And on the third day, he realized it wasn’t going to come. God wasn’t going to let him die. Those three days were God waiting for Jonah. Waiting for him to stop wanting to die. Waiting for him to start wanting to live. Waiting for him to humble himself to ask for grace. Jonah wasn’t a hypocrite. He wasn’t quick to want grace for himself. He was just as willing for himself to die as anyone else. But God wasn’t. 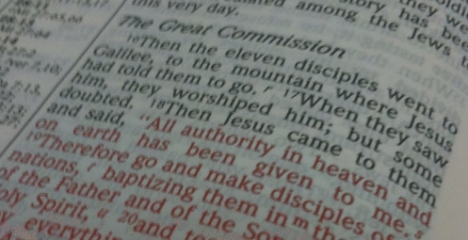 His grace wasn’t just freely offered to Jonah. It was, literally, irresistible. Because sometimes grace is difficult. Grace isn’t a free ride. Grace for Jonah meant that he still had to do the thing he didn’t want to do. I’ll admit, I’ve been at the point before where Jonah was, where it seems easier to give up. But God wasn’t going to let Jonah have that option. What about you? Are there times you’d just as soon avoid God’s grace? And what does it take to make you accept it? The greatest merit of the book comes in making the divine personal. 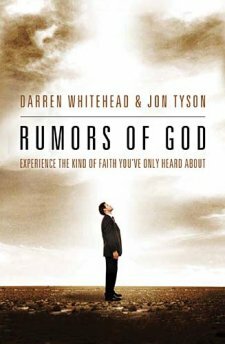 The book is divided into chapters that each explore the truth of a different “rumor” of God, exploring a different aspect of each nature — grace, love, freedom, justice. But in doing so, the authors do far more than reveal who God is — by shedding light on who He is, they explore what it means to be a Christian, and what it means to be a church, and how the two are intricately linked. For me personally, I could not have asked for a better book at a better time. I read it serendipitously, having received a free review copy through BookSneeze, but it was an incredible blessing. 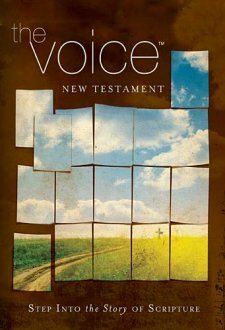 I’ve been through a period that had really challenged my view of who God is, and this book helped me break apart and better rest in my understanding of Him. I wrote a post a while back about baptism, in which I basically said my thoughts on the subject were limited by the fact that I didn’t understand other people’s views on the matter. Take, for contrasting example, the issue of predestination. I have my views on the matter. And I feel comfortable with those views because I’ve studied other people’s and felt like I understood them enough to say, “OK, I understand why you believe that, but here’s why I don’t.” It’s a complicated issue with lots of good arguments from the different sides, and I can respect the diversity of beliefs. Even the ones that are obviously wrong. With baptism, on the other hand, I have a harder time. I, for example, don’t believe in infant baptism. It would be easier for me to say, “OK, here’s why I disagree with people who believe that,” if I understood why they believed that. But I don’t. I don’t feel like I have enough understanding of the arguments to evaluate them. 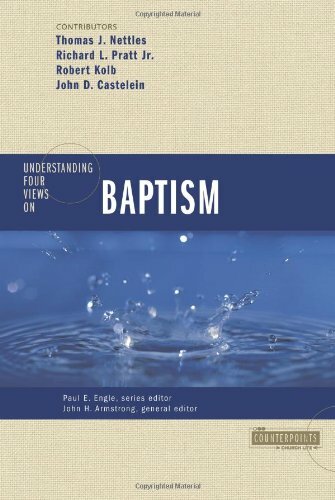 So my co-worker Johnny was kind enough, after reading my post, to loan me his copy of the book Understanding Four Views on Baptism. I don’t know that it really changed my thinking, but it sure was fun. The way the book works is this. It’s written by four experts representing four different belief sets, and is divided into four sections. In each section, one of the four experts explains what his group believes, and why. The other three then get to write why he’s wrong. The problem with this approach is that you never get an unbiased look at anything, you just get a variety of biases to average out. I came out of the book with the same viewpoints I had going into it. I read the arguments supporting differing views, and still didn’t really understand how people could believe those things. But that may be as much a reflection of me as it was the book. It seemed a lot of the arguments involved adding things to scripture, which raises the question of whether those things were good things to add. Shockingly, the person writing that particular argument thought they were. The other people, shockingly, did not. The discourse, however, was quite entertaining, in very much a polite “with all respect, I have no respect for this” tone. To be honest, I found it more enjoyable reading from a debate perspective than from a baptism perspective. The book is part of a series, and I very well may have to go back and look into other volumes in the set to see what it looks like for other topics to get this treatment. Two years ago, Lent was … well, a big part of my life that year. Complicated and twisted, much like the relationship it was a part of, but a big part of my life at the time, also like that relationship. I’d never really paid attention to Lent before, but did that year, and it’s kind of stayed with me. Last year, I did give something up for Lent. With varying degrees of success, both in terms of actually sticking with it, and in terms of actually getting any benefit from it. This year, I’ve been kind of meditating on what, if anything I should do for Lent. This morning, I read a great article on “My spiritual discipline of not giving up something for Lent” that has an interesting discussion on Lent and what it means and what it’s for and so forth. I’m not giving something up for Lent this year. I’m taking something on for Lent. I’m not Catholic. I have no proscribed rules for Lent. If I choose to do something, it’s not because I’m trying to take on someone else’s rituals or beliefs, so it’s OK if I’m doing it wrong. I’m not doing their thing wrong. I’m doing my thing right. And this year, the thing that sticks out to me the most about Lent is the contemplative discipline aspect of it. Ideally, the awareness of the absence of what you’re giving up should remind you of why you’ve given that thing up. If you give up chocolate, when you have a desire for it, you have to consciously choose to do without, and that conscious choice should cause a conscious reminder of why you’re doing it, and that should point you back toward the cross. Less of chocolate, more of Him. To be perfectly honest, as I gained weight late last year, I reached the point where I felt too big to wear them. I doubt if that was really true, it was just me letting negativity get the better of me. 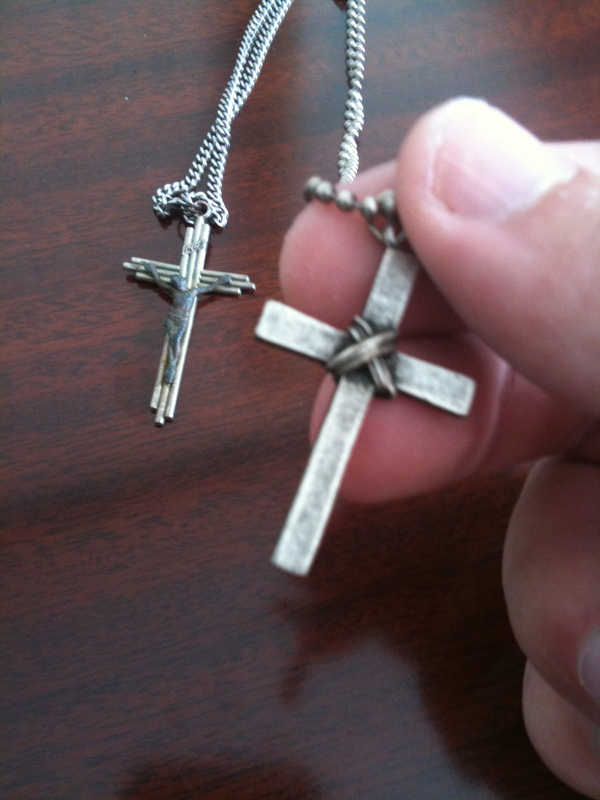 But for Lent, I’m going to start wearing them again, as a tool for that contemplative discipline. I put them on in the morning, and think about why. I see or feel them during the day, and think about why. Maybe it’s not pure to the point of Lent, but hopefully it honors the spirit well enough.